Karen Marie Garrett Genre: Accoustic. Contemporary, Piano, Classica chops Geboorteplaats: Hawaii Platenmaatschappij: Karen Marie Garrett Music, Waterstreet Records (from Facebook) The music of composer and solo pianist Karen Marie Garrett has been described as classical, seductive, emotional, inspirational, and category bending?a welcome sound in a hectic world. Karen believes there is an inner voice that comes out through the music: "When words are ineffective, music becomes the voice." The music of composer and solo pianist Karen Marie Garrett has been described as classical, seductive, emotional, inspirational, and category bending?a welcome sound in a hectic world. Karen believes there is an inner voice that comes out through the music: "When words are ineffective, music becomes the voice." Karen's enduring popularity is due to her hauntingly beautiful and evocative music. She continues to be among the top-selling and most requested classical and contemporary recording artists in the United States. Her album, It's About the Rose, was released in early 2007 to rave reviews, debuting at No. 1 on national radio charts, earning her "Top Contemporary Instrumental and New Age Recording of 2007." It's About the Rose also received the 2007 New Age Reporter (NAR) LifeStyle Music Award for "Best Instrumental Piano Album." NAR is the industry reporter of top charts for contemporary instrumental and New Age music. Following the Virginia Tech tragedy in 2007, Karen collaborated with Winter Robinson, a noted Maine author, consultant, therapist, and specialist in medical intuition, in a spoken word meditation using "Tally's Lullaby" as the musical foundation for solace and healing. In addition, internationally acclaimed New York author, T.M. Wright was so inspired by the lullaby's beautiful melody that he wrote a poignant response to Karen's composition in prose. Wright's poem, "On Hearing Tally's Lullaby," appears in his thirty-second published work "Bone Soup, A Collection" (Cemetery Dance 2007). Most recently, in alliance with the American Cancer Society, "Tally's Lullaby" was used as the musical platform for a non-commercial video produced in Nashville, Tenn., to raise funds for cancer research. Karen is a friend to the Espy Foundation, created in honor of author Willard R. Espy (1910-1999), who was an active member of the literary arts community in New York City. Since 2000, Karen has donated several concert performances to benefit the ongoing mission of the Espy Foundation to advance and encourage literary and visual arts through programs enabling writers, artists, and students to pursue and create new ideas and works. A native of Washington State, Karen began her music study at age five and later trained at the Sherwood Conservatory of Music, Chicago, Ill. Karen's alluring and mesmerizing compositions evolved as she absorbed elements derived from popular music. Even though Karen's music remains classically grounded, her beguiling and fresh compositions bring solace, passion, and serenity to many faithful and new fans. Her successful recording career began when platinum record producer Will Ackerman, founder of Windham Hill Records and early producer for pianist George Winston, noticed her talent. Their collaboration resulted in Karen's hit albums Allure of Sanctuary (2005), recorded at Academy Award-winning producer/director George Lucas' Skywalker Sound Studios in Marin County, Calif., and It's About the Rose (2007), recorded at Imaginary Road Studios, Windham County, Vt.
Karen's music is featured in the French/Canadian film, La Derniere Fugue (The Last Fugue), released February 26, 2010, and the upcoming documentary film, Evolution of Dad, scheduled for release in the U.S. on Father's Day. 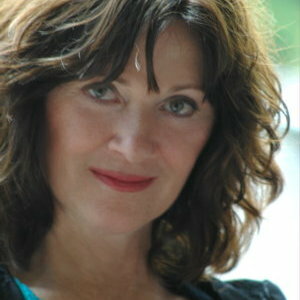 Karen will also perform in a solo concert June 3, 2010, at Moe's Piano Portland, Oregon. For more information, fans may visit www.kgpiano.com. Currently, Karen is composing new songs and will once again return to Skywalker Sound Studios to record her eagerly awaited third album.